Perhaps a dog’s good dreams involve food, fun with us, or time off from obedience school? Maybe, but what about their nightmares? These five breeds enlighten us about their bad dreams. Are we brave enough to read these spooky stories? 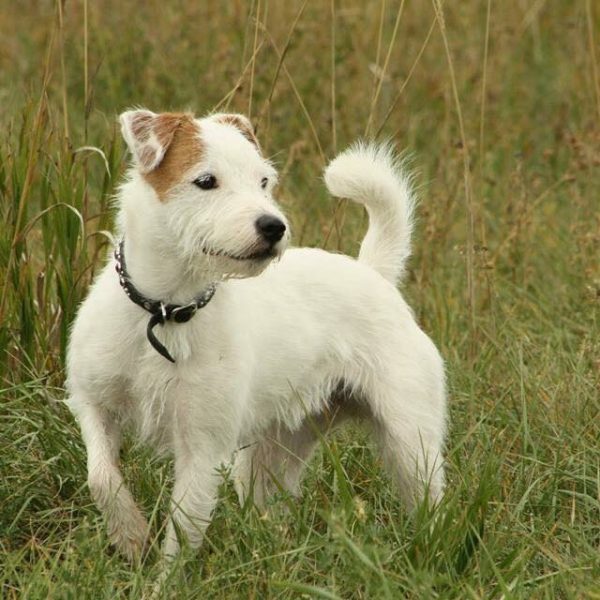 Parson Russell Terrier courtesy Amanda Labadie. Oh yes, my nightmares are frightening indeed. Sometimes I dream that my owner is running an agility course with another dog. I awake panting and flushed from the horror. How could she leave me behind? Activity, after all, is my middle name. Well actually my middle name is Russell, but I was indeed developed for action. I was bred originally as a hunting dog to flush fox. So yes, you guessed it. My second reoccurring nightmare is that fox are running amuck in my yard, and I’m behind a window, unable to reach them. Oh dreadful day! Dreams aside, I admit these days I don’t see many fox. Fortunately I channel my athleticism and tenacity into play times and performance sports. And even though I’m a goodhearted rascal at home sometimes, I’m rarely the cause of my peoples’ own nightmares! Pyrenean Shepherd courtesy Amanda Labadie. Now before I reveal my worrisome nightmares, let’s cover my history. I was bred many centuries ago in Southern France to herd sheep and help on farms. Because I had few guard duties, I was developed small (about 30 pounds) and nimble, not big and imposing. I worked close to the flock, often without a shepherd’s direction. So with that history in mind, it won’t surprise you that my nightmares involve stray sheep, or (worse!) family members gone astray. And to make the dream even darker, my big cousin, the Great Pyrenees, is missing too. So when I do find my loved ones, who will guard us? Oh woe is me! Off the record, I’ll confide I’m not always exceptionally brave. But I’m wide-awake right now, and ready to jump, run, or frolic with sports such as fly ball. Did I mention I like to stay busy? 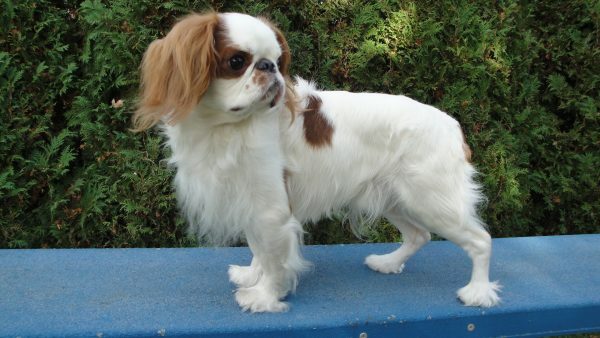 English Toy Spaniel courtesy Sharon Wagner. I was developed centuries ago from various toy and spaniel breeds. Today I weigh less than 14 pounds and share a history with the Cavalier King Charles Spaniel. My ancestors kept both royalty and common folk merry. Although I still evidence sporty spaniel traits (want to try agility with me! ), I pride myself on my cheerfulness, gentleness, and devotion to people. My nickname, “the comforting spaniel,” offers insight into my occasional nightmare theme. In my worst dreams, I’m isolated from my family. They’re sad, and yet I’m unable to reach them to ease their solitude. Oh unhappy times! Fortunately I rouse from the dream and find myself in my loved one’s bed, offering plenty of comfort. I’m a love bug, you know, and bask in any opportunity to gaze up into my loved one’s face. Icelandic Sheepdog courtesy Laurie Ball-Gisch. 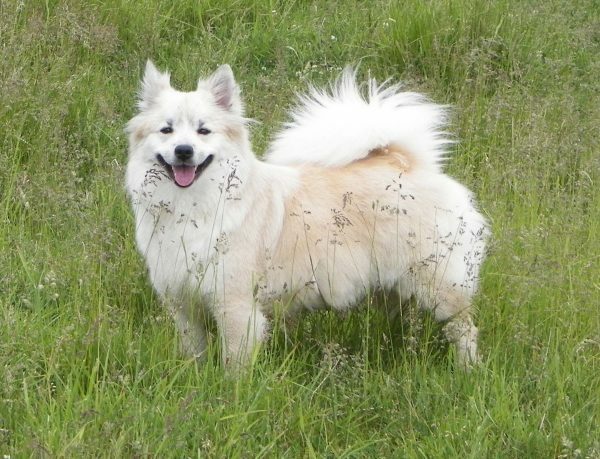 I’m a Nordic herding Spitz, with ancestors tracing back to Viking settlers. I’m confident and sprightly, an energetic worker. While I can problem solve independently, my greatest joy comes from working with my shepherd. I try to keep him in my sight, even while herding livestock. In fact, I often try to keep my whole family, shepherds or no shepherds, in my sight! Since I’m in the herding group like the Pyrenean Shepherd above, you might guess my nightmare involves sheep running astray. Okay yes that would be bad. But my nightmare is my beloved person calling me, and I’m unable to come to his side. Greatest of anguishes! And then fortunately I find myself awake and usually hurry outdoors to find my owner. I’ll need to stay next to you all day to forget about that dream. 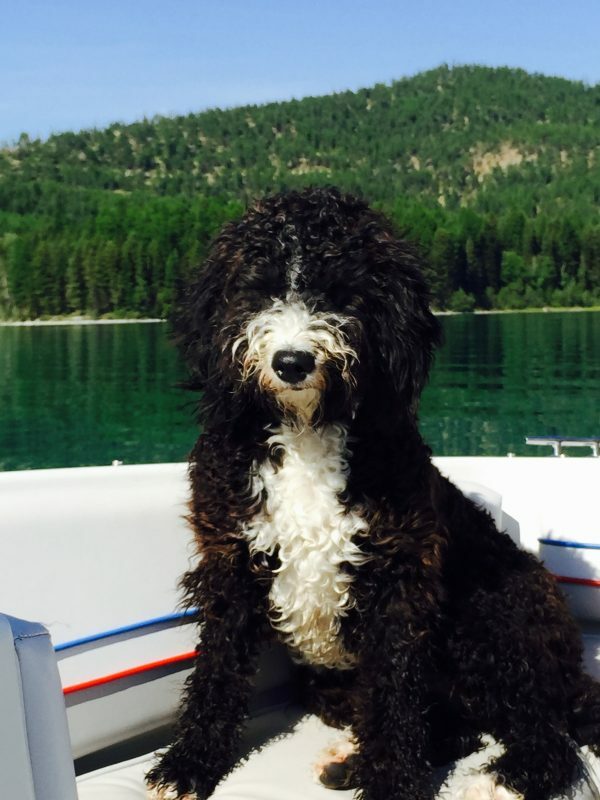 Spanish Water Dog, courtesy Spanish Water Dog Club of America. I was developed in Spain to work and provide companionship to both farmers and fishermen. Bred for athleticism, I needed strength and endurance both in water and on land. Today I’m mainly a friend for my humans, but I still value an eventful day and a job well done. Because I thrive on activity, my nightmares aren’t about working too hard. Instead, in my bad dreams my world has no work, no sports, no balls to chase, and (oh no!) no people. And in my worst nightmare my world is water-less. Gasp! 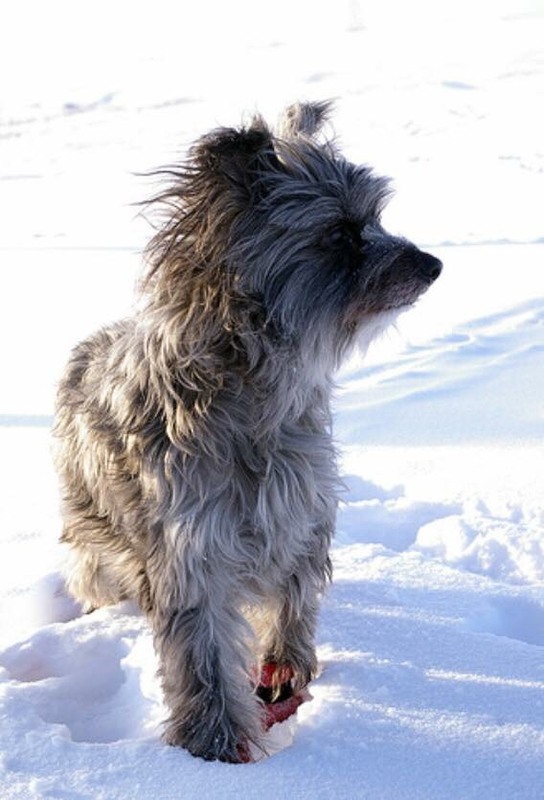 Top photo: Pyrenean Shepherd, courtesy Amanda Labadie. The post 5 Dog Breeds Reveal Their Worst Nightmares appeared first on Dogster.